Probably one of the most awarded South African Sauvignon Blancs is the De Grendel Koetshuis Sauvignon Blanc 2017. 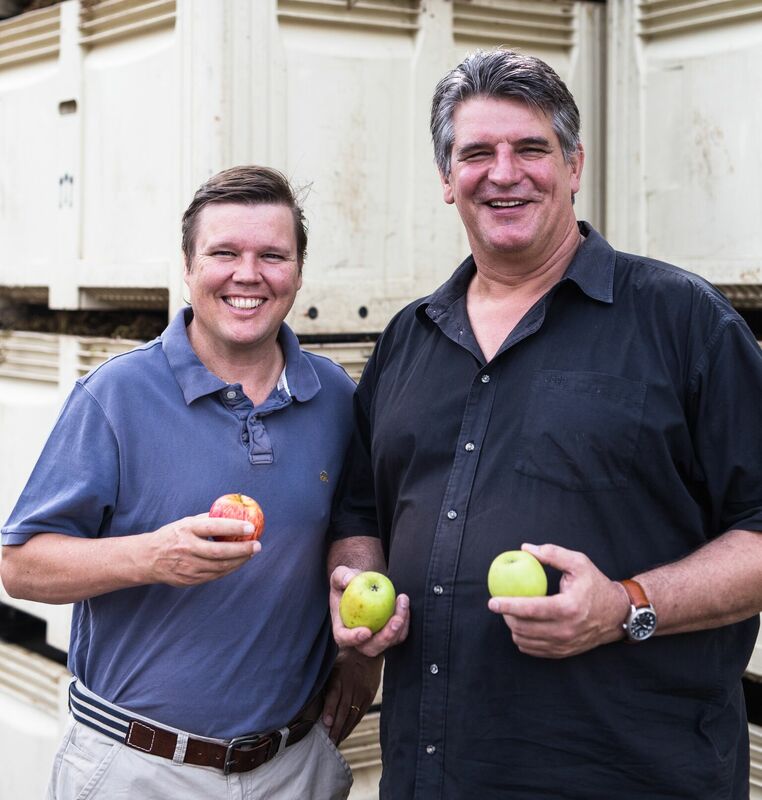 Born out of a vintage in the midst of one of the most severe droughts in living memory in the Western Cape. But this boded well for the wine as cool nights and a little touch of rain in the December prior to the harvest allowed for longer hang time for the bunches, buffering up the flavour in the final wine. The crop was 15% up on 2016 and the grapes were disease free. This is a great vintage with a brilliant acidity running through the wine from entry to the long satisfying aftertaste. 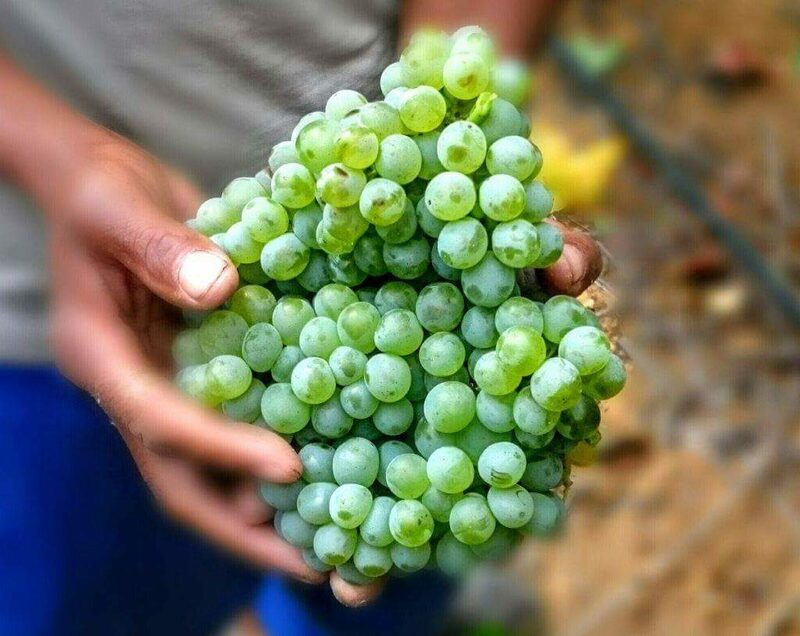 The grapes for the De Grendel Koetshuis Sauvignon Blanc 2017 came from high quality vineyards in the Lutzville and Darling Wine Appellations which delivered an even handed 6 to 7 tons per hectare. The grapes were picked separately and vinified in separate parcels for later blending into the final wine. The hand harvested grapes were destalked and crushed and then allowed up to 6 hours of skin contact, all part of building flavour. The wine lay on its lees for 100 days which also builds flavour and mouthfeel. The wines were then blended and prepared for bottling. From a Burgundy shaped bottle under superior screw cap. The label is simple and elegant. In the glass, the wine is a gem bright pale gold. The aromas coming out of the glass are very beguiling. White sweet tropical flowers, green apples, and then a whoosh of green flavours, scrunched up herbs, peas, white figs and sweet tropical limes. Lovely long tail with well interwoven minerality. Utterly sublime glass of wine. Fine drinking wine, more for sipping and taking with food, rather than quaffing. If you are able to keep a couple of bottles back for up to 5 years of perfect cellaring, you will be well rewarded – the acidity and generosity of flavours point to good ageing. Ian Bergh, the chef at the De Grendel Restaurant offers a number of dishes to complement this wine, amongst them his Linefish, barley, quinoa, pak choi, cauliflower, lime, truffle, lemongrass, almond. Well worth a visit. 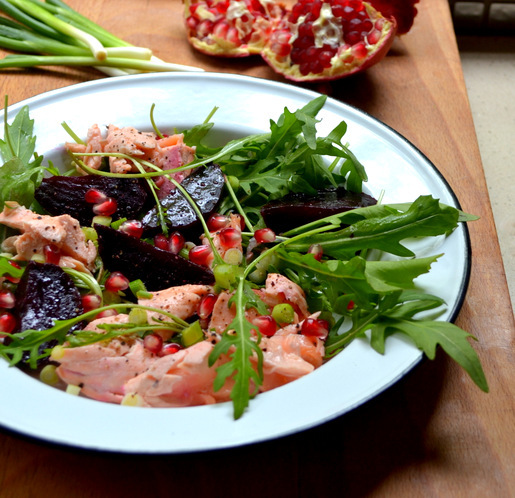 Jane Anne Hobbs’s Salmon, Beetroot & Rocket Salad is a perfect match to the De Grendel Koetshuis Sauvignon Blanc 2017. Click here for her recipe. Awards won by the De Grendel Koetshuis Sauvignon Blanc 2017 are China Wine & Spirits Awards 2017 Gold, Michelangelo International Wine Awards 2017 Gold, Old Mutual Trophy Wine Show 2018 Gold, South African Wine Index 2018 Platinum, Tim Atkin SA Report 2017 91 Points, Veritas Awards 2018 Gold and the Vitis Vinifera Awards 2017 Double Gold.